An interracial relation will in most cases draw different reactions from both family and friends when they are made aware of your preference to date someone outside your race. If one comes from a family that is very traditional, they might be offended by the decision to date outside your race and the same applies to friends. They can express things like anger and stereotypical opinions to the person you are dating. All in all bring someone who has a different culture around your friends and family can be a good learning experience for them and might chance their views. Nevertheless, one has to be aware of the effect an interracial relationship has on their family and friends. 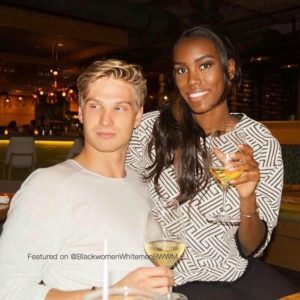 An interracial relationship has the potential to let down family and friends, both of which might have something negative to say about the person’s heritage and believe that proceeding with a marriage to your new love can bring shame to the family and how they will be seen by others. If you see the look of disappointment from your loved ones, it can lower your self-esteem and it is tough to stomach since it is coming from people close to you. When family and friends start to feel inadequate, it can bring about tension in the air as they begin to wonder why you choose to date outside your race instead of someone who is similar to you. It can also make them feel like you think you are superior to people of your own race and the race of the person you are dating is better. Overall it can make some of your friends and family do not measure up to your standards. When a person chooses to date someone from a different race, they can expose their family and friends to a brand new culture which is far more unique to their own from the prospective of their new love. When your loved ones are exposed to different beliefs, food and traditions even if it is in small amounts can change the way they see other races and broaden their knowledge. This will ultimately lead to those around you celebrating and even appreciating the cultural differences that exist between your partner and them. When you enter an interracial relationship, it can improve the way which you communicate with your friends and family, in fact it can bring everyone closer. Friends can become curious about your new love interest they will ask questions about what is attracting you to them. When and if family members do not approve of your interracial relationship, it is worth asking them why. In many cases, family and friends do not approve their loved one dating someone of another race for other reasons not just their heritage. If your family appear intrigued by your new partner of another race, you have to use that to open lines of communication which can bring the family together.